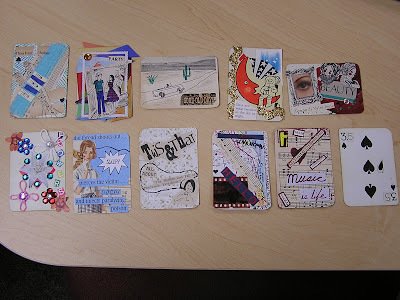 I taught a class at the University of Sheboygan,WI on, How to be Creative with collage by making Artist Trading Cards ( ATC'S), which are mini pieces of art the size of a playing card measuring 2 1/2" x 3 1/2". Here is a picture of the students with their completed pieces of art. Great Job Everyone!!! 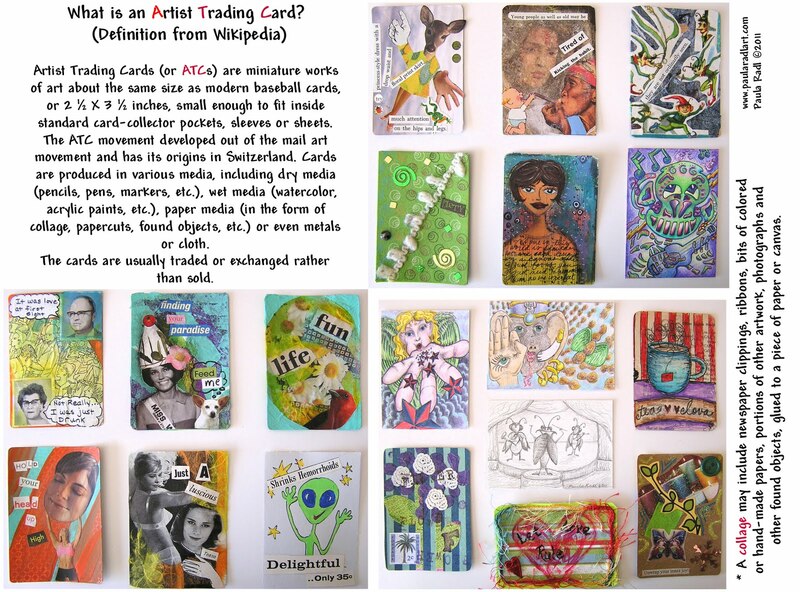 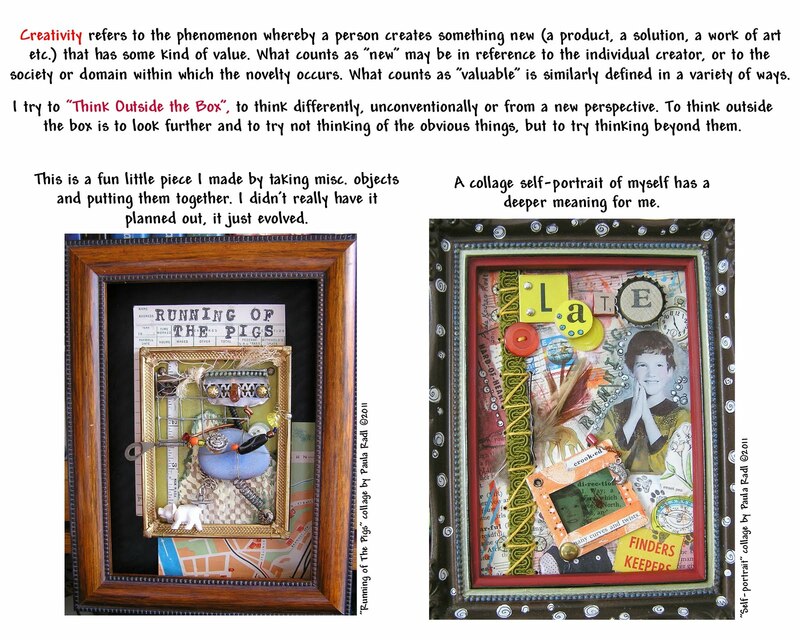 More information on Artist Trading Cards and how to be creative and "think outside the box" in collage making.